The other day I discovered that, regrettably, I no longer am a Spring Chicken. Time flies when you're making fonts... So, after I recovered from that shock, I created this font and called it Spring Chicken! 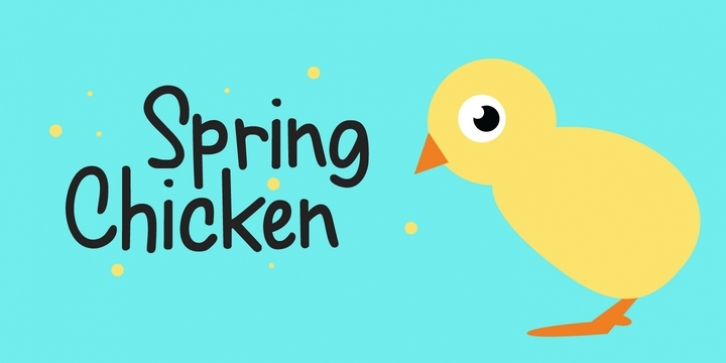 Spring Chicken is a handmade cartoon-ish, script-ish, dunno-how-to-label-it-ish font.